According to the most recent available data, over 10 million arrests are made in the United States every year. If you count yourself among this unlucky group of Americans, one of your first experiences during the booking phase would have been to have your mugshot taken. While mugshots serve as important tools for law enforcement, they can end up causing a number of significant problems in the age of the internet—problems that mean you may end up unfairly affected for life. If you’re struggling with the repercussions of having a mugshot dominate your results any time a person searches for you on the Internet, here’s a collection of useful facts and tips about this kind of trouble and what actions you can do to take control. When your mugshot dominates your online reputation, it can influence your life in a number of inconvenient ways that are extremely difficult to overcome. A lucrative mugshot publishing industry has grown out of the general public’s interest in this form of content. There are many high-traffic websites which feature these pictures of people at the lowest point of their lives alongside entire arrest records and full legal names. There are also a shocking number of Facebook pages run by local police departments who post mugshots as a routine part of their social media strategy, complete with the names and ages of perpetrators and details of the arrest. This action has become so pervasive that journalism sources like CNN, Fortune, and NBC have authored articles about it. The trend can have serious repercussions if your search engine results are dominated by a mugshot. The accessibility and popularity of tabloid websites which focus on publishing mugshots can also cause personal embarrassment and make it difficult to form personal connections with new acquaintances. According to a study conducted by CareerBuilder, around 70 percent of employers today use a search engine to screen job applicants. About half of employers will reject a job candidate based on negative search results and a poor online reputation, which does not bode well for those who struggle with a mugshot that commands the top position in search results. These statistics are especially troubling in a time when the Brennan Center for Justice suggests that the number of people with criminal convictions in the United States is roughly the same as the number of people who hold four-year college degrees. A mugshot can create a problem where there really shouldn’t be one. For example, some states automatically seal the records of juveniles for most crimes, for the express purpose of preventing youthful mistakes from causing long-term damage to citizens. But if the law enforcement agency places the mugshot online, then it can be copied and posted, even when a background check doesn’t turn up any arrest. Taking down your online mugshot can cost you a fortune even if you don’t have a record. 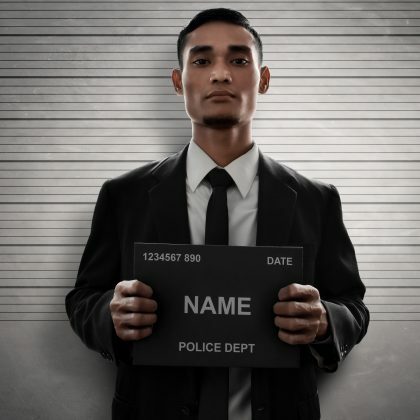 In spite of the fact that there have been a number of lawsuits filed in recent years which have sought to shut down websites that publish mugshots for profit, there are still a number of sites that exploit those who have been arrested in the past. This unfortunate reality is compounded by the fact that your legal rights to keep your mugshot private are extremely limited. According to the National Constitution Center, the First Amendment, which guarantees freedom of speech, gives government agencies the right to post your booking picture online. In addition, your arrest records are also considered to be public domain; legally, your mugshot could be considered part of this record. There is a lack of clarity about whether or not it is legal for sites to charge a fee for mugshot removal. Unfortunately, if your mugshot has been posted to one of these sites, it is likely posted to other leading mugshot groups as well. This often creates a need to undergo the time-consuming and expensive process of contacting and paying each of these sites individually to remove the photo. Even then, many websites may flatly refuse to remove it after you’ve already taken the time to make your request. The fine print of mugshot removal for pay tends to show what you’re actually buying. Typically, you’re paying someone to send a request to have your mugshot removed rather than paying for the removal of the photo itself. Half of these requests are made by employees of the mugshot sites themselves and the payment does not even guarantee that your mugshot will be taken down. Further, your mugshot is likely only removed from the single site you are paying, leaving you vulnerable to other predatory and often affiliated mugshot sites. The process of paying to have your mugshot removed from each site then starts all over again. 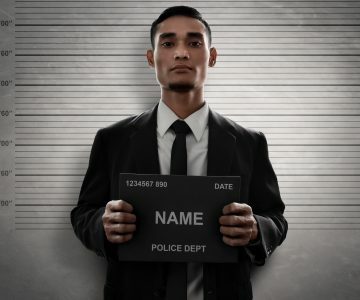 In the states of Illinois, Oregon, Colorado, Texas, Utah, and Wyoming, you may be protected from having to pay for the removal of your mugshot, as each of these states has its own, uniquely-worded local law against this practice unless the picture is used for legitimate journalism. While there are many individual states attempting to protect people from predatory websites looking to extort people with mugshots, the situation is pervasive on the internet and thus very difficult to control, leaving victims with no real protection from the law and little recourse. As unforgiving as the internet can be about broadcasting a person’s past mistakes to the world, it also offers a way for those who are affected by this form of negative content online to regain some control over the situation. In many cases, your best course of action if your mugshot is dominating your search results on the internet will be to engage in mugshot suppression tactics. If the site maintains a “courtesy removal service” and you can prove that you’ve taken steps to change your life since your arrest, the moderators may remove the photo for you free of charge. In some cases, if you prove that you were never charged with a crime or were ultimately exonerated of the charges, you may find that a website is willing to remove your photo. While communication is a useful tool, it’s important to remember that there will undoubtedly be websites that show no empathy and will remain unwilling to help you. The best way to remove your mugshot online is, essentially, to bury it. Studies have shown again and again that the vast majority of search queries tend to result in users clicking the top handful of links. Past the third or fourth link, clicking drops significantly. And if a link is driven to the second page of results, it might as well not even exist; less than five percent of those searching for results bother with the second page. To drive mugshot websites off your search results, a reputation management company devises well-written, relevant content around your name. Search engines index content based, among other factors, on how “relevant” it is to the terms; for example, if you have a public blog, that site should be among your top results. Over time, you can put an end to mugshot sites in your results. Why pay to take down your online mugshot over and over again when you can just bury it with content that will naturally improve your reputation on the internet? Call one of our experts today for a free consultation on the reputation management options that are best suited to your situation.